$2.10 Kid's Book Sale + 10% Off or Free Shipping! Totsy is having another great children's book sale with prices starting at just $2.10! There's tons of different books to choose from, most featuring popular characters like Curious George, Little People, Disney characters and more. Most books are under $4. 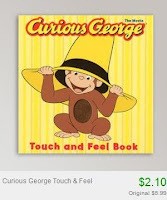 I personally think the Curious George Nursery Songs Book w/ CD is a great deal at just $2.50! 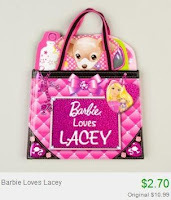 New Totsy customers will also receive free shipping on their first order!